The legend Tom Gruenwald from TGO, Tom Gruenwald Outdoors, crappie fishing in the early 90′s! 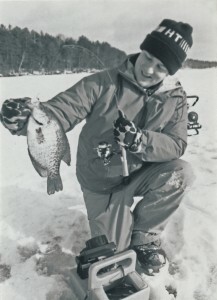 Seeing as ice fishing season is fast approaching, this photo is very fitting! Tom has written some wicked articles for our iFish Magazine and will be featured 3 times in the up-coming iFish Winter Magazine.